•Call us when you need answers to your home problems! as a result of radon exposure. Your most probable exposure location is in your own home. 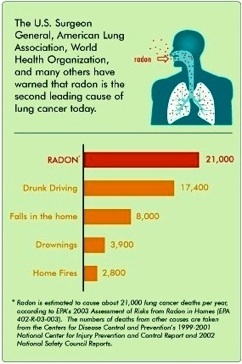 Radon is the #1 cause of lung cancer for Americans who do not smoke. 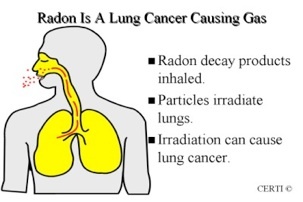 Radon is a radioactive gas that causes lung cancer. Radon is radiation. Radon gas comes out of the ground and can accumulate in your home. It’s colorless, odorless, tasteless. Unless you test for it, there is no way of telling how much radon radiation is present in your home, or workplace. The level of radon gas emitted from the ground can vary widely from home to home, or from neighborhood to neighborhood- there are few noticeable patters. Radon is formed by the radioactive decay of uranium and radium in rock, soil, and water. Radon can be found in all 50 states, and worldwide. Once produced, radon moves from the ground to the air and into homes and buildings. Some radon remains below the ground’s surface, dissolves in ground water, which collects and flows under the ground's surface. Well water contains radon, and may contribute to indoor radon. When radon undergoes radioactive decay, it emits ionizing radiation in the form of alpha particles, which damage lung tissue. It also produces short-lived radioactive decay products, often called progeny, most of which are also radioactive. Unlike radon, the progeny are solids, not gases and can easily attach to dust and other particles in the air you breath. Those radioactive particles can be breathed into the lungs, where they irradiate lung cells. Sometimes, the term radon is used in a broad sense, referring to radon and its radioactive progeny all at once. 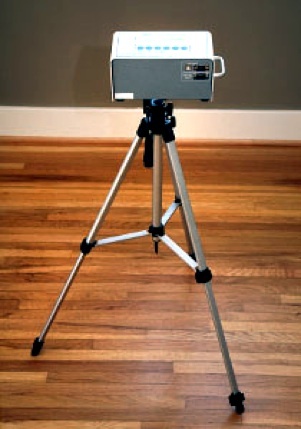 When radiation from radon is measured directly, the amount is usually expressed in picocuries per liter of air (pCi/L). Certified Radon testing is affordable! Have your home tested today for just $129, metro Tallahassee. Lung cancer. 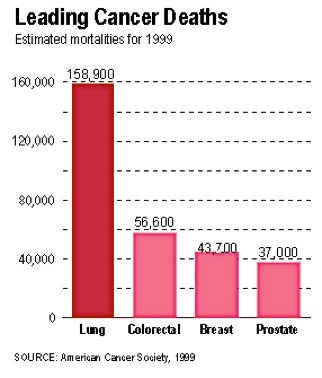 Lung cancer is the #1 most deadly cancer. The Surgeon General has warned that radon is the second leading cause of lung cancer in the United States (behind smoking) , and also contributes significantly to the lung cancer rates among smokers. “Scientist are more certain about radon risks than risks from most other cancer-causing substances” There are currently no conclusive data on whether children are at greater risk than adults from radon, but what is known is the longer the exposure to radon the greater the risk of lung cancer. 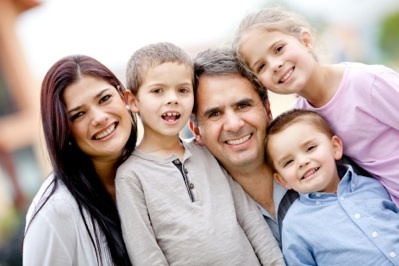 You can make your home safe for your family- test today! 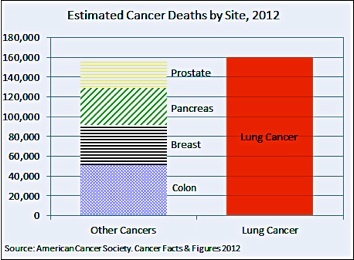 Only smoking causes more cases of lung cancer, and radon contributes greatly to cancer rates among smokers. If you smoke and you are exposed to elevated radon levels, your risk of lung cancer is especially high. The U.S. Environmental Protection Agency provides radon risk comparison charts for people who smoke and those who have never smoked. 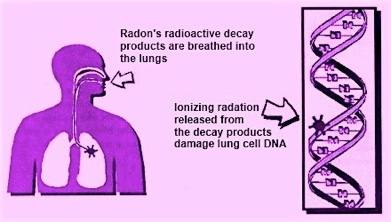 Radon gas decays into radioactive particles that can get trapped in your lungs when you breathe. As they break down further, these particles release small bursts of energy. This can damage lung tissue and lead to lung cancer over the course of your lifetime. Not everyone exposed to elevated levels of radon will develop lung cancer, and the amount of time between exposure and the onset of the disease may be many years. Research suggests that swallowing well water with high radon levels may pose risks, too, although risks from drinking water containing radon are much lower than those from breathing air containing radon. A NAS report on radon in drinking water, "Risk Assessment of Radon in Drinking Water," was released in 1999. It concluded drinking radon in water causes about 19 stomach cancer deaths per year. The EPA provides more information about health effects from radon in their publication, Radon—A Physician's Guide. EPA estimates 21,000 Americans die annually as a result of Radon exposure mostly from inside in their own homes. In comparison, approx. 3,000 Americans may die from second-hand smoke in any environment. 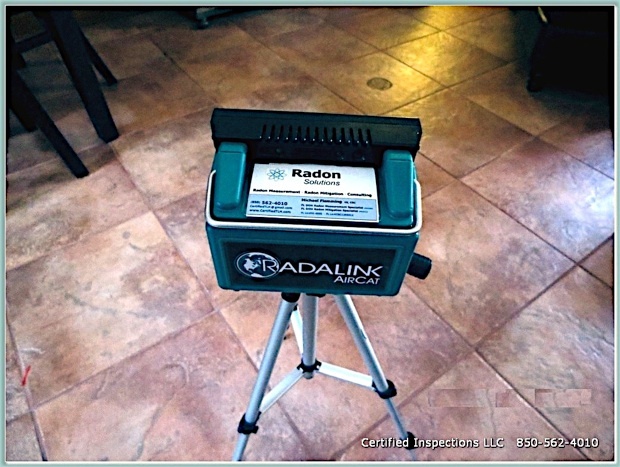 •What are the odds I have elevated radon levels in my home? In Leon County Florida, approx. 1 in 4 homes have elevated radon levels. Nationwide approx. 8 million homes have radon levels that are very high (exceeding the EPA action level of 4.0 pCi/l), and that number is rising- mainly due to the way homes are now designed and built- just 10% have been remediated. Testing may save you from exposure to radiation that causes lung cancer. • What is the "acceptable" level of radon in air? No level of radon exposure is safe. EPA states that any radon exposure carries some risk; However, the EPA recommends homes be fixed if an occupant's long-term exposure will average 4 picocuries per liter (pCi/L) or higher (Action Level). “Consider mitigation when the radon level is between 2 and 4pCi/L.” The World Health Organization’s “Action Level” is 2.7 pCi/L. • Where should home testing be done? The FL DOH recommends that testing be done in the lowest level of the home which contains a room that is used regularily. This typically represents an area where greatest radon exposure level may occur. • The seller of the house I want to buy disclosed a radon level of 2.0. Should this be a deterrent to buying? There is no safe level of radon in the home. 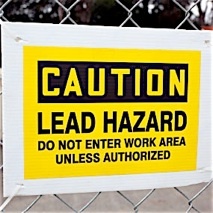 This level should not be a deterrent to buying a home, as the EPA “action level” is 4.0. Most elevated radon levels should not be a deterrent as radon can almost always be reduced in a home to levels below the action level. As long as the issue is discussed and a plan of mitigation is set, most elevated radon levels should not be a deterrent to buying a home. • When should I mitigate? Rely on the recommendation of your Radon Specialist. Generally, if your home tests at or above 4.0 pCi/l, mitigation (installing radon removal equipment) is strongly recommended. The EPA states radon levels below 4.0 still pose a risk. “Consider mitigation when the radon level is between 2 and 4pCi/L.” The World Health Organization recommends mitigation at 2.7 pCi/L. • I was told there is no radon in my neighborhood, is that true? No. There are no radon patterns. Statements such as “this neighborhood has no radon” or “the house next door was tested, so this house should be OK” are completely false. The only way to know your home’s radon level is to test your home. 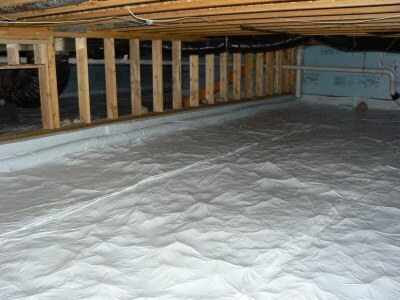 • I was told radon is only a problem “up north where they have basements”- is that true? No. One in 4 Florida homes have elevated radon, even though most homes have no basement. 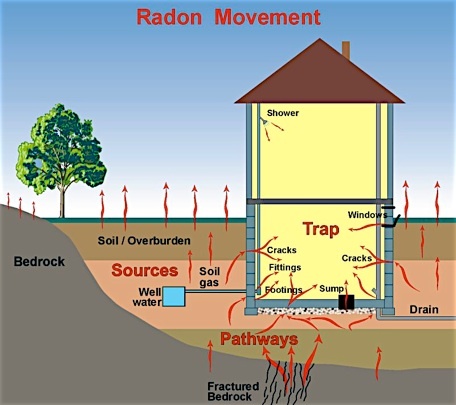 Radon gas enters homes mainly at the ground level (slab or crawlspace) and becomes concentrated in the indoor air. 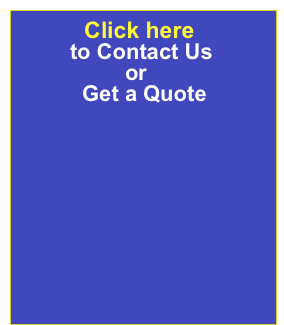 • What is radon mitigation? 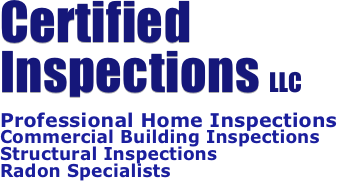 Certified Inspections is Florida Licensed Radon Mitigation Business. Radon mitigation is the process of testing, evaluating and modifying your home to lower high indoor radon levels to acceptably lower levels. 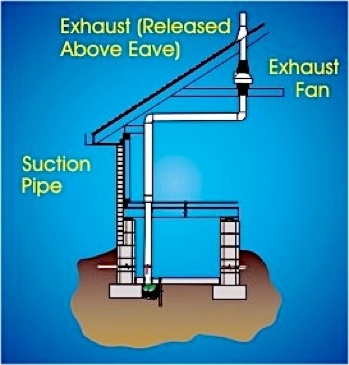 Mitigation works- it can lower your indoor radon levels by up to 90% One of the The most successful mitigation systems are called sub-slab, and sub-membrane depressurization. Your mitigation specialist will advise you as to which system is best for you, and your home. 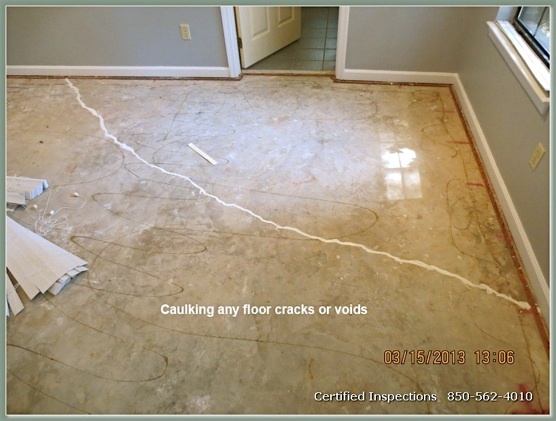 • Can’t I just caulk the cracks in my concrete slab or wood floor and stop radon from entering my home? 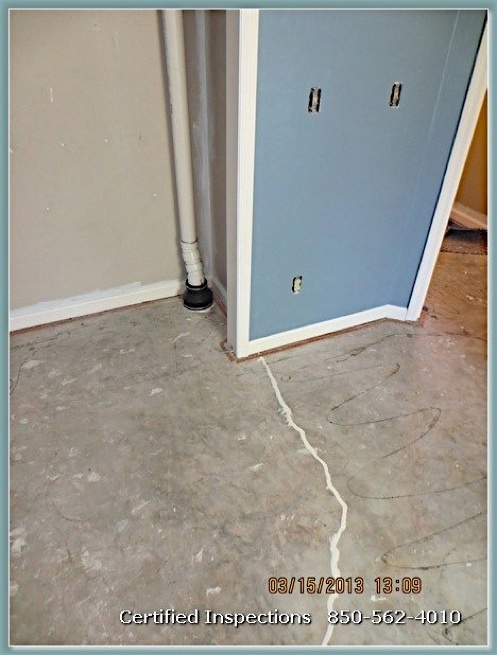 Caulking cracks and voids in the foundation or basement is only minimally effective at keeping radon out, and is not a stand-alone solution. Since radon is a gas, it can easily travel through cracks and pores in your home’s foundation. 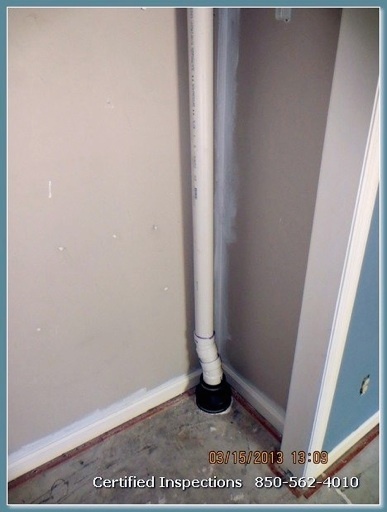 Voids and porous materials are found under every building, allowing easy entry for radon. 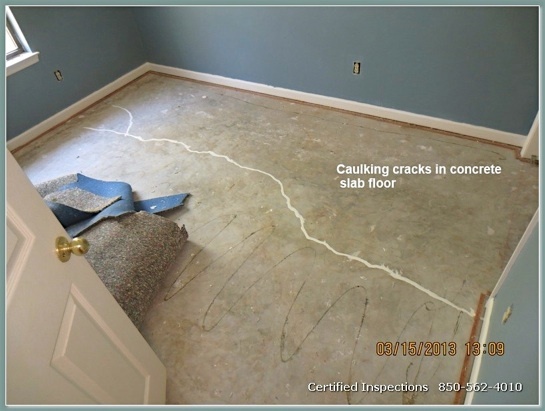 Government testing has proven that caulking and sealing foundation cracks and penetrations is not enough to keep Radon gas out of the home. 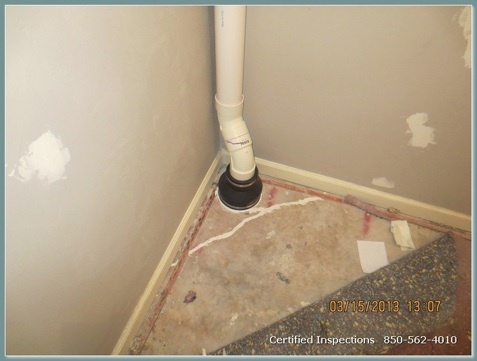 Other remediation methods must be used along with sealing to effectively lower the radon levels in homes. • My new home is pretty “tight”, does that mean I won’t have a radon problem? No. The amount of Radon entering the home is mainly dependent on the source strength of Radon in the earth below the home. The source strength varies from home to home. Radon can still get into even very tight homes. Radon gas then radioactively decays and can damage lung tissue. Alpha particles, when inhaled, can damage cell the DNA in lung epithelial cells- which can lead to lung cancer. • Is radon a radiation source like x-rays are? Yes. 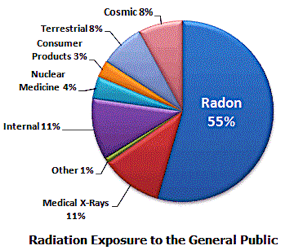 Radon is by far the greatest single source of radiation exposure to the general public- far exceeding x-rays, mammograms, and other common exposure sources. • Can I get brain tumors or headaches from breathing radon? No. Increased risk of lung cancer is the main health effect of exposure to Radon gas and its radioactive decay products. Drinking well water with high radon levels can cause stomach cancer. • Michael Flemming of Certified Inspections, is a FL DOH Certified Radon Measurement Specialist and a Certified Radon Mitigation Specialist. The Florida Dept. of Health requires radon measurement, assessment, consulting, and mitigation to be performed only by Certified Radon Specialists. • Only a Certified Radon Specialists are licensed to provide opinions, or advice on radon or radon progeny measurements, health risks, radon-related exposure, and other radon-related activities. advise on radon test results- a Specialist may also develop radon testing plans. 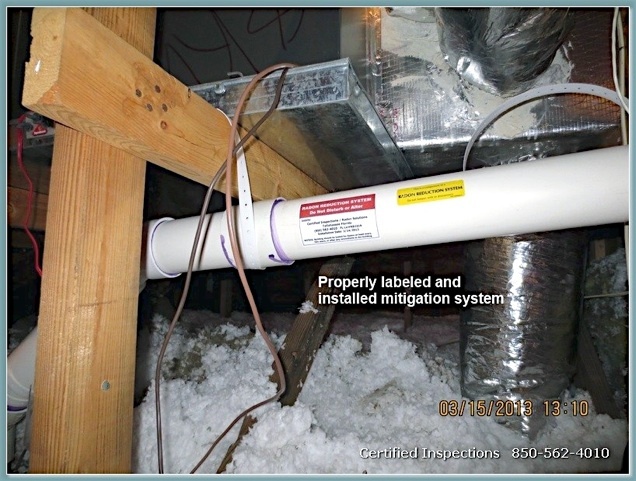 • Only Certified Mitigation Specialists are authorized to install radon mitigation systems in your home. 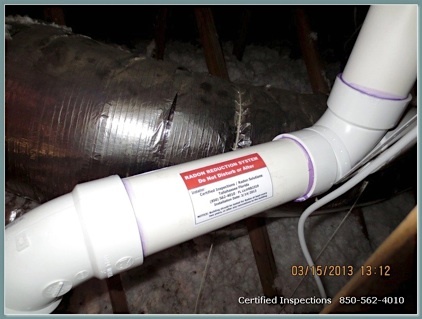 • Radon technicians are licensed to “place and retrieve” radon test devices only- not interpret test results. • A technician my not offer opinions or advice concerning test results, and may only work under the supervision of a Certified Radon Specialist. NOTE: LICENSING MATTERS. 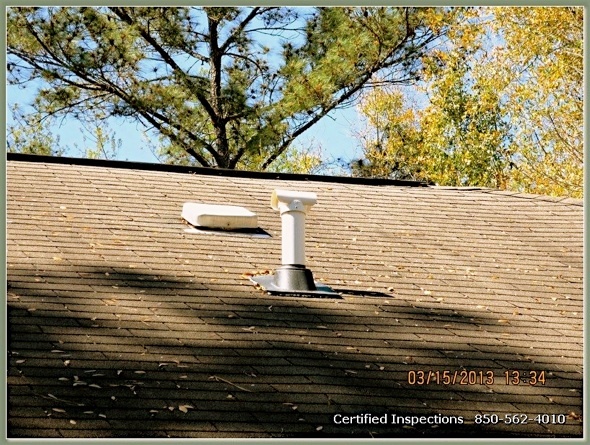 Mr. Flemming has the highest radon license level in Tallahassee-Leon County. Ask for the license level of any radon service provider you speak to- and Speak to a Specialist! Only Specialists are licensed to evaluate, interpret or advise you on your radon test results- technicians are not. View Florida Radon Licensing Laws Below. Thank you for visiting! 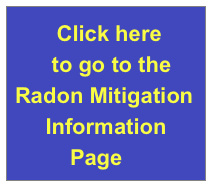 Potential homebuyers and the general public encounter plenty of misinformation about Radon- as a Florida Radon Specialist, I am providing this radon information to inform you and assist you in understanding the considerable cancer risks associated with Radon exposure. Beginning in 1986, the U.S. EPA recommended that all homes be tested for Radon, as Radon is a Class-A carcinogen that causes lung cancer. Smoking combined with radon is an especially serious health risk. If you’re living in a home, buying a home, or selling a home, have it tested by a Radon Specialist- for the safety of you and your family. I'm buying a house. Should I have it tested for radon? Yes. The FL Dept of Health, Surgeon General, and the EPA recommend that all houses be tested for radon before moving in. If you're a buyer, it is important to know the home’s radon level before you buy- if the radon level is high, it’s probable the seller will pay for radon mitigation. The radon test is generally a separate service performed by a licensed radon specialist, and must be requested. If the radon test is 4 pCi/L or greater, your radon specialist will advise you as to your options. Having a certified mitigation specialist install a radon mitigation system will achieve the goal of bringing the radon level in the home below 4.0 pCi/L. I'm selling a house. Should I have it tested for radon? Yes. As the homeowner it’s smart to have a radon test performed before sale to avoid losing a buyer. Most if not all states will require the test result be disclosed on the seller’s disclosure form you will fill out with your realtor. Having a licensed radon professional test for radon before sale puts you in charge- you will avoid any surprises when the buyer orders a radon test. Plus if mitigation is indicated, you can arrange mitigation on your timetable and on your terms- and assure your buyer the home is radon safe. I've been living in my home for many years. Should I have it tested for radon? Yes. In 1986, the US EPA recommended that all homes be tested for radon as Radon is a Class-A carcinogen. If the level of Radon in your home is high, you are needlessly exposing yourself to lung cancer risk. Knowing your home’s radon gas level will assure you that you're not exposing yourself and your family to radon’s ionizing radiation and possible lung cancer. Knowledge is power- the power to keep yourself and your family healthy. 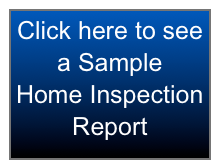 Can I test for radon in a vacant home? Yes. 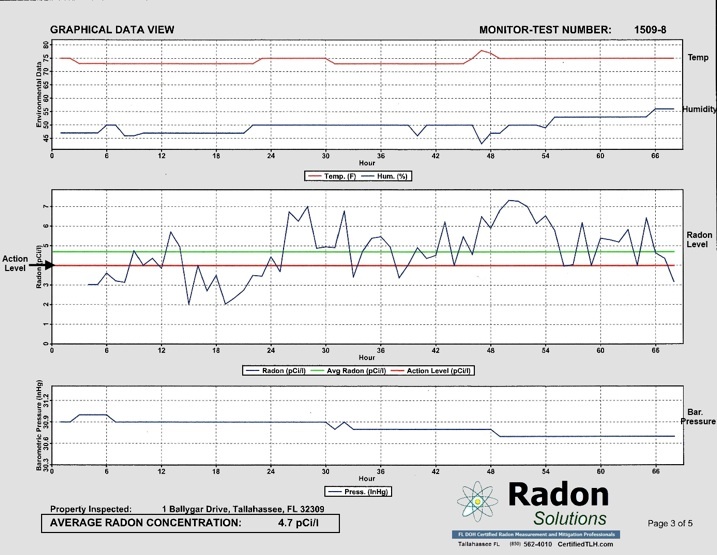 Radon levels in a vacant home, under typical operating conditions, will commonly reach a steady state (equilibrium) about 12 hours after the house is closed up. It is recommended that the home’s heating and cooling system be operated normally while testing. Does radon “build-up” in homes that have been closed up for a long time? No. The indoor level of radon does vary from day-to-day, but will not “build-up” over time as radon is constantly decaying, and being replenished. • Should newer homes be tested for radon? Yes. In 1986, the United States Environmental Protection Agency recommended that all homes be tested for radon as Radon is a Class-A carcinogen. If the level of Radon in your home is high, you are needlessly exposing yourself to lung cancer risk. • Can I test for radon myself? The State of Florida and the EPA recommends using a licensed radon professional. Why? licensed professionals using laboratory grade measurement devices and Florida DOH measurement protocols can assure you of accurate testing results. Inaccurate results have no value. • Can I just open the windows to let the radon out? Yes, but studies indicate natural ventilation is not considered a real solution for most Florida homeowners, as it is not practical to have all windows open all the time. 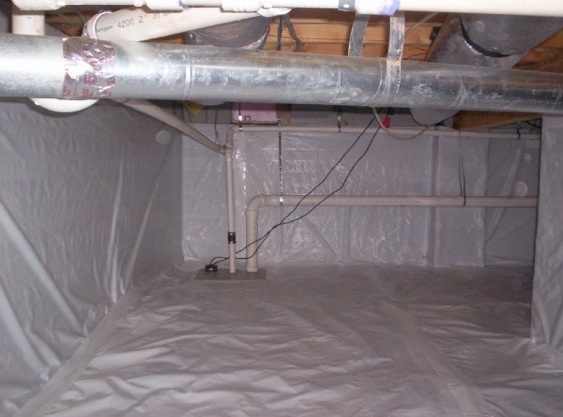 • “My house doesn’t have a basement” or “I live in a house with a crawlspace” Am I safe from radon? No. It’s a common misconception that there can only be a radon problem if there is a basement. 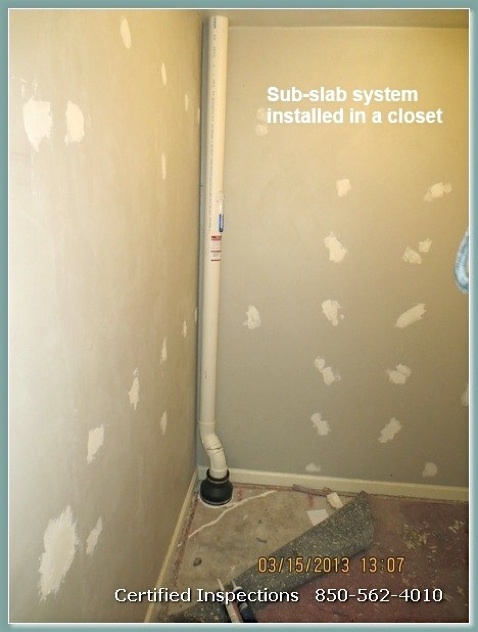 Houses on slabs and houses with crawlspaces can, and do sometimes have elevated radon measurements. Most homes in Leon county are on a slab foundation, and Leon has higher reported indoor radon levels than most other counties. • Can the radon level in a building's air be predicted? No. It is not possible to make a reliable prediction- the only way to determine the radon level is to test. The EPA and the Surgeon General recommend testing all homes below the third floor for radon. In addition, indoor radon levels vary from building to building. 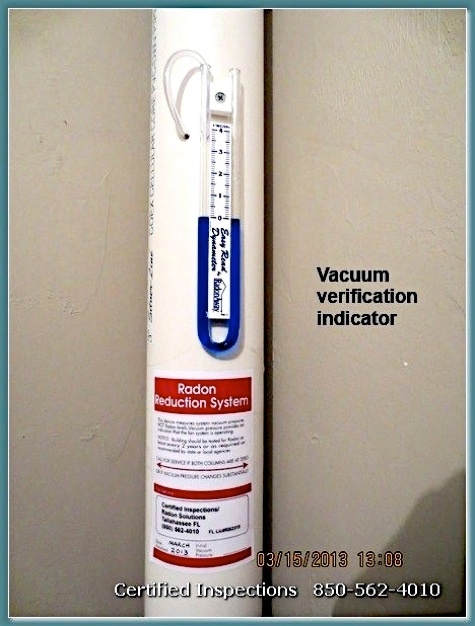 Do not rely on radon test results taken in other homes in the neighborhood—even ones next door—to estimate the radon level in your building- to know the radon level in your home, test your home. • Who should I contact about my radon questions and concerns? Please be aware that talking to the right person is very important. Only Florida Certified Radon Specialists are licensed to consult with you concerning radon in homes and buildings- radon technicians are not. 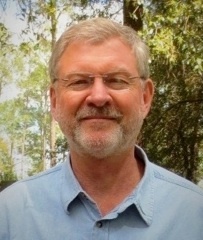 If you have radon concerns or questions, contact Michael Flemming, a Florida Certified Radon Measurement Specialist. Or call the FL Dept of Health at 1-800-543-8279. • What is a Class-A carcinogen? Radon is a known human carcinogen, which makes it a Class-A Carcinogen (compared to results derived from animal testing). Radon is the the only Class-A Carcinogen that is not regulated by the federal government. Radioactive Radon and its decay product Polonium emit alpha particles which when inhaled stick to delicate lung epithelial cells. These particles emit radiation that can crack cell DNA, or ionize cell contents and cause cell mutations. These mutations can create cancer cells in lungs. • How does Radon get into my home? 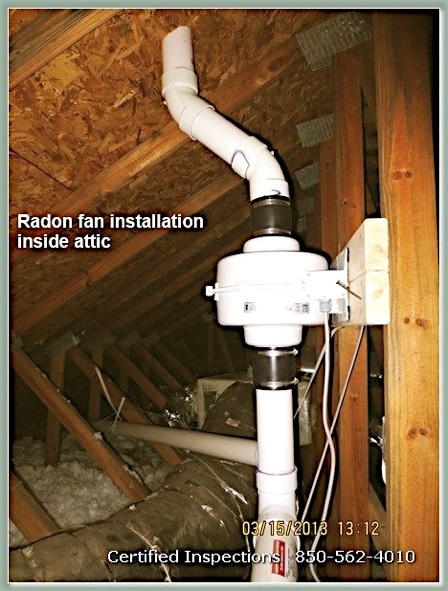 The radon is pulled into the home by air pressure differentials. In most buildings 95% of the radon entering the structure comes from the rock and soil under it. Pressure differentials (low indoor pressure) are created by natural and mechanical ventilation. Natural ventilation occurs because of stack effect (hot air rising in the home), wind, and temperature differences between inside and outside air. Rain and low barometric pressure can also increase radon entry. Exhaust fans in the home, combustion gas exhausting, as well as negative indoor pressure caused by A/C and heating systems also increase radon entry. 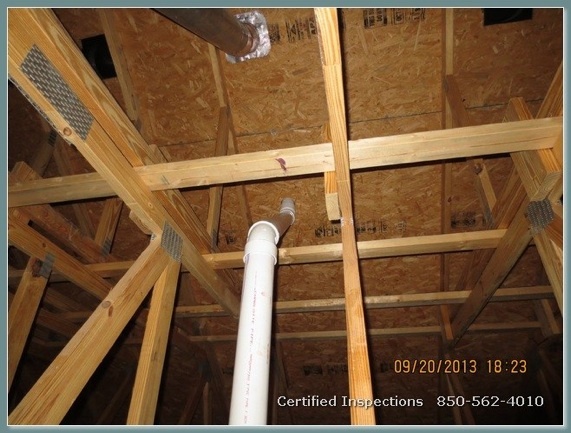 • Is my indoor radon level the same all the time? No. Radon levels vary constantly, both daily and seasonally. The highest levels are expected in the winter, while in the summer, when windows and doors may be open, we would expect lower concentrations. In Florida, these seasonal fluctuations may be minimized. • Should I be worried about my granite countertops? Building materials like granite countertops can contribute to indoor radon, but soil gas is the largest source of radon in homes. Well water and building materials such as granite and concrete may add radon, but usually account for less than 5% of the radon in homes. Building materials adding radon is more of an issue in high-rise apartment buildings where concrete can add to indoor radon levels. Especially high radon levels in well water can contribute more than 5% to indoor radon. •Am I safer living on the second floor of a building? Radon gas is the heaviest gas and accumulates first in the lowest areas of the home, or building. The radon levels on the second or third floors are generally lower than they are on the first level. • I live in an apartment building on an upper floor, should I test for radon? Yes, high radon levels have been measured on upper floors in buildings. The source of the radon is presumed to be from building materials such as concrete, as well as other sources. Regardless of its source, elevated radon levels pose a serious health risk. • Why are short- and long-term tests used? Short-term tests give you a “snap shot” of the radon level, and can be helpful when time is of the essence, as in real estate transactions. Long-term tests offer better overall accuracy as radon levels within a building often change on a day-to-day, and from month-to-month. • If a test result is less than 4 pCi/L, what should be done next? Rely on the advice of your radon specialist. If the result of an initial short-term measurement is below 4.0 pCi/L, in a real-estate transaction, a follow-up test is not necessary. “Consider mitigation when the radon level is between 2 and 4pCi/L.” Changes in ventilation, earthquakes, settling of the ground beneath the building, and other changes may cause indoor radon exposures to change. If an initial short-term test result is 4 pCi/L or higher, what should I do? If the result is 4.0 or above, you should consider mitigation. In a non-real estate measurement, if the result is 4.0 or above, a second long-term test is recommended. If the initial result is 8.0 pCi/L or above, a second short term test is indicated. • Are there recognized methods for testing soil gas to estimate radon potential in a future building? No, radon concentrations in soil of a building site are not predictive of final concentrations inside buildings constructed on that site and are not considered reliable indicators. It is best to test the home or building after it is built. Steps can be taken to “build radon out” of new homes and buildings- ask us about how that works. Click Contact Us above. 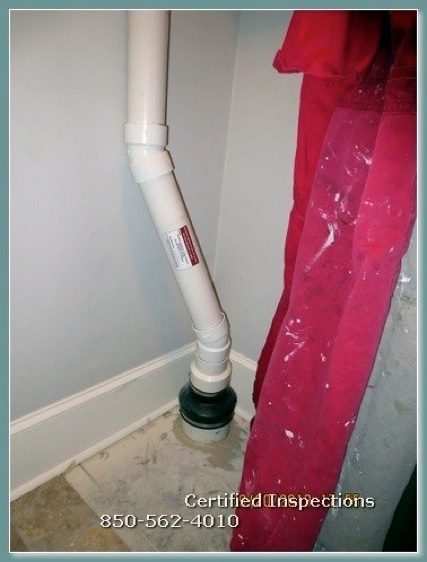 • Can radon in water be a problem? Yes, but generally only if you're using a private well to supply your home’s water. Well water contains radon, often high levels. 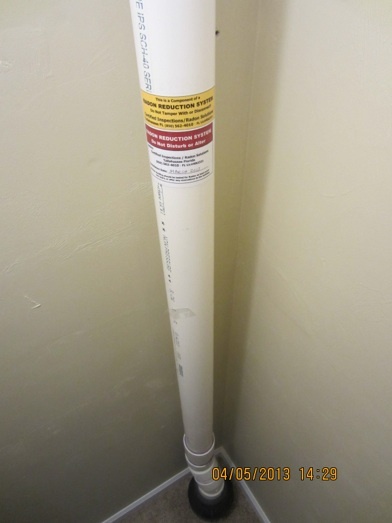 Radon in the water supply poses an inhalation risk and an ingestion risk. Most of the risk from radon in water comes from radon released into the air when water is used for showering and other household purposes. Municipal water supplies are generally safe due to the fact the water is often agitated and aerated long enough to remove most all radon before it gets to your home. Radon Solutions tests well water for radon, and installs remediation systems to remove radon from well water- ask your specialist. • Average exterior (outside air) radon levels are 0.4 pCi/l. (picoCuries per liter). This level can and does vary. • Average U.S. residential indoor radon levels are 1.3 pCi/l, more than 3x higher than the exterior level. Even in the best conditions, the average home has much higher indoor radon levels than outside air. 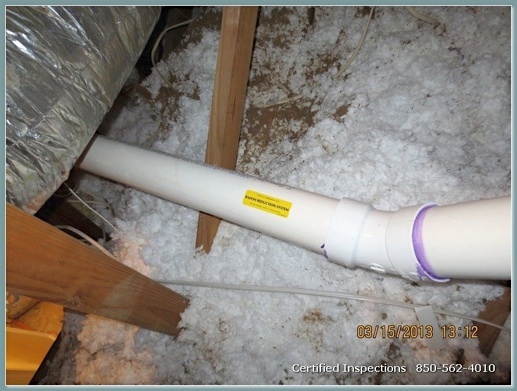 • The FL DOH and EPA strongly recommends mitigating or lowering indoor Radon levels greater than 4.0 pCi/l, and recommends considering remediation for levels between 2.0 and 4.0 pCi/L. The World Health Organization recommends mitigation at 2.7 pCi/L. • There is no safe level of indoor Radon. "Research confirms that breathing low levels of Radon can lead to lung cancer". The EPA recommends lowering the indoor level to approximate outdoor levels, if possible. (0.4pCi/l). • Science: Radon is a gaseous radioactive element (Rn) an atomic number of 86, and atomic weight of 222; it is a toxic, colorless, odorless gas. • The decay chain that produces Radon gas: Uranium238 > Radium226 > Radon222 > Polonium218 > Lead214 > Bismuth214 > Polonium214 > Lead210. *Red items emit damaging alpha particles in your home. How much does it cost to have a home tested for radon? $129 for most homes in metro Tallahassee, for a certified 48-hour CRT measurement performed by a Specialist- not a technician. Other measurement types and durations are sometimes used, including long term tests (3+ months), and well water tests. How long does the radon test take to complete? 48 hours in most cases. Your certified results will be personally reviewed by Mr Flemming, and sent to you via email within hours after the test is completed. If the radon level comes back elevated, how much does it cost to have my home mitigated? Homes vary considerably in design, but $1800 to $2900 are common ranges. Do I have to do anything special to have the radon test performed? All you need to do is keep the windows and doors closed and the AC or heat running normally for 12 hours before the test begins, and during the 48 hours the test is running. Momentary opening of doors to enter or exit is OK.
Who can test my home for radon? 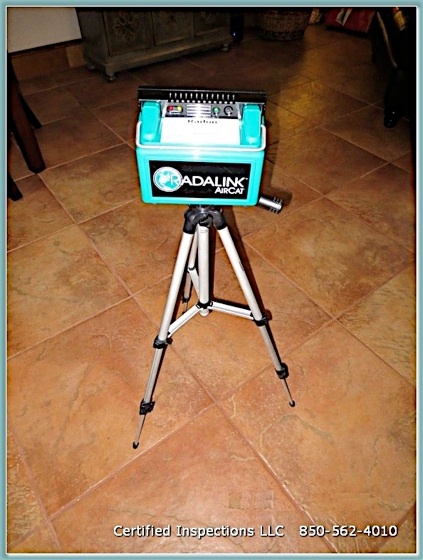 In Florida only a DOH Certified Radon Measurement Specialist can measure for radon. Michael Flemming of Radon Solutions is fully licensed to both measure and mitigate radon in Florida. 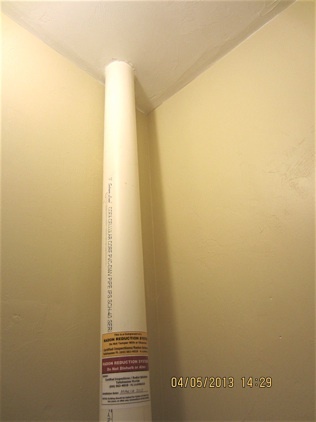 Technicians can be hired to “place and retrieve” the radon machines, but are prohibited from discussing results, and offering advice to clients. Who can I call to mitigate my home for radon? 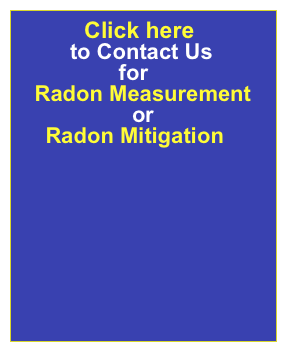 In Florida only a DOH Certified Radon Mitigation Business who has retained a Certified Mitigation Specialist is authorized to sell, design, and install radon mitigation systems. Where can I check FL radon licenses and get more radon information? Visit the FL Dept. of Health Website http://doh.state.fl.us/environment/community/radon/index.html or call the FL DOH at 1-800-543-8279.